The European Association of Science Editors (EASE) is an international community of individuals and associations from diverse backgrounds, linguistic traditions and professional experiences in science communication and editing. PS.7. Data citation: what and how? Here is another survey for our members to participate in this week. SpringerNature have commissioned a survey into science-related careers, titled the 2018 International Salary and Job Satisfaction Survey, implemented by Shift Learning. They survey doesn’t explicitly say that science-based careers are the intended demographic, but the questions relate to this specific setting, asking about primary position, subject area, education level, institutional setting, duration of positions, research undertakings, mental health, salaries and more. It is relatively quick to complete, and should take around 5 minutes of your time, and you can enter into a prize draw for Amazon vouchers worth $150. Science communication facilitation platform Kudos are developing a new product – Kudos for Research Groups and have a survey they would like participants for. Kudos hope that this platform will enable them to support a much wider range of research outputs including conference papers, presentations, posters and research objects including data images and code. All types of ‘additional’ research output which EASE supports and believe should make greater contributions to the body of acknowledged literature. It seems Kudos share this belief. The aim is to provide a cohesive central point through which research groups, institutes, labs, departments and units of assessment can collaborate on joint dissemination plans for their projects and track their progress. To help with these aims, Kudos have developed a survey to better understand the needs of the research community, shape the platform in a way which will be of most use, and invite people to be involved in beta testing. The survey is open until 5pm bst, Friday 22nd June. Your input will be welcomed. The Poenaru Post is the daily newsletter accompanying the 14th EASE Conference, printed Friday, Saturday and Sunday, with a digital-only edition on Monday following the conference, to summarise the final day. Our newsletter is named after Petrache Poenaru, the physicist inventor who created the fountain pen after making an ink reservoir from a swan’s quill during his studies in 1827. He seemed to be an appropriate muse to go alongside our conference logo, bringing our delegates their daily review of conference activities and Romanian trivia. We have made each newsletter available here, as a memento for those who attended and as a summary of the events for those who could not be there. EASE is pround to present a Conference Fringe Event, in association with the British Council and Scientific Organisation of Medical Students. 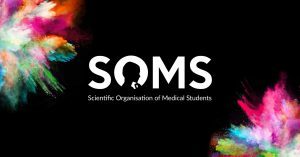 On 7th June, the evening before our conference begins, EASE President, Ana Marusic will be speaking at a forum hosted by the British Council in Romania and the Scientific Organisation of Medical Students (SOMS). The lecture is aimed at young medical students, to discuss issues surrounding scientific communication, principles of research methodology, research integrity and peer review. The event will feature a speech from British Council director Nigel Bellingham, contributions from medical students and early career professionals associated with SOMS, and a discussion moderated by Mihai Stancu, PHD candidate at Maximilian University of Munich. 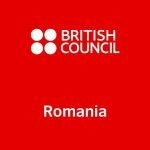 This lecture will be promoted through British Council online channels as a fringe event connected to the 14th EASE Conference at the University of Bucharest. In our second guest blog post, we welcome back Avi Staiman, CEO of Academic Language Experts, to discuss how to identify an appropriate translator for your work. If you would like to write a post about aspects of your work that would make an interesting read for our members, please get in touch. Looking for an academic translator for your academic research can be a daunting task. Whether you are looking to translate your book in order to reach a new audience or want to publish your article in a journal which is not in your native language, it is critical to pick the right translator for your manuscript. Where to start? With all the options available, how do you pick the right one? 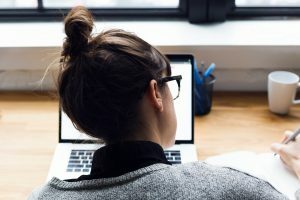 The goal of this blog post is to present a series of criteria to help you narrow down your search for the perfect candidate for your project. The first step in picking the best translator is finding someone who is highly proficient in both the source and target languages. Translators describe themselves in a variety of different ways which can be confusing so we will start by defining the most commonly used terms. Native language: Your native language is the language of the surrounding culture you grow up in, which is often the language you think in. Mother tongue: Your mother tongue is the language you grow up speaking at home. For many people this is the same as their native language, but that is not always the case, especially among children of immigrants. Fluent or proficient speaker: This level can be acquired in a second language through intensive study. This level is typically insufficient to ensure consistently natural-sounding language use in writing. It is rare but possible for a child to become fluent in more than one language if more than one language is spoken regularly and fluently in their surroundings, but after around the age of six, becoming fluent in a new language with all its nuances of syntax and tone becomes virtually impossible. Some children may grow up with multiple native languages but only ever use one of them at school or professionally—and therefore never develop the full vocabulary and range required to write well in the other languages. Other people may have no highly developed native language, either because they aren’t sufficiently exposed to language at a young age, or because they lost some proficiency in the intricacies of their native language as they transitioned into exclusive use of a second language. In my experience, fluency and proficiency are insufficient for purposes of academic editing, translation or publication. Even if a translator can master the terminology and vocabulary of a second language, it is very difficult for people to free themselves entirely from the syntax of the language they think in. Even if your translator is fluent in the target language, if it is not his native language, he will likely bring over traces of his native language which will give him away as a non-native speaker and distract from the content of the writing. Thus, it is extremely rare for someone to be both a native speaker and a great writer in more than one language. Beware of translators offering translation services into multiple languages and be sure to ask them what their true native language is. If you want your translated text to sound natural, you need a translator who is a native speaker, not just a “fluent” or “proficient” one. When looking for a translator, many people mistakenly believe that what they are looking for is a native speaker of the source language—and of course it is true that translators must be proficient in reading and understanding nuances in the languages from which they’re translating. However, the product of the translation is a text in the target language, not the source language, so it stands to reason that if you want an excellent translation in a specific genre, you need a translator who can write an excellent text in that genre in the target language. This means that your translator must be a native speaker of the language in which the translation (not the source) is written and a skilled writer in that language. In fact, translators of a given language may be overly committed to being faithful to the source text, when what really matters is that the published text is clear and well written without the distraction of unnatural-sounding language. Most academic journals are looking for clear and coherent texts that stand on their own. You may also want to consider using a language editor to edit the work of the translator as we discussed in our previous post. Besides native-level speech and writing skills, it is also critical for your translator to be familiar with your field and its terminology. Even well-educated native speakers may have difficulty reading, let alone writing, technical articles if they’re not familiar with the field. Your translator doesn’t necessarily have to be an expert in your exact field, but he or she needs to be familiar enough with writing in your field to know how to identify precedents—and where to look for them—to find out how terminology is used. It is a good idea for you to make sure the translator understands your use of key terminology at the outset; to this end you may choose to provide a set of terms and meanings or even a list of terms to avoid. When looking for a translator, you can learn a lot from a phone interview. Listen for unnatural grammar or speech patterns. Ask what the translator’s top language is and what kinds of texts he or she has translated before. Don’t find out too late that you are the translator’s guinea pig to learn about your field! This would be a good time to ask what you can do to make the task smoother for the translator – can you provide a list of terms? A bibliography? Examples of similar texts? Above all, you want to avoid having to subject your academic translation to further edits, which will almost certainly be required if the translator is not a native speaker, and which will likely lead either to further interruptions in tone and flow, or to what is essentially a full rewrite. A well-written article should return from peer review without major language comments and critique. Rather than rely on edits after the fact, make sure from the outset that your translator is a native speaker and an experienced writer familiar with your field. Avi has worked as a translator and editor in various fields of humanities and social sciences, and is the founder of Academic Language Experts. 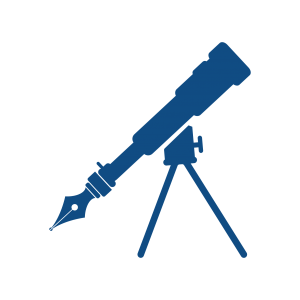 Are you involved in observational research? Melissa Sharp of University of Split and Université Paris Descartes, Sorbonne Paris Cité is conducting a survey to better understand the use of and attitudes towards the STrenghtening the Reporting of OBservational Studies in Epidemiology (STROBE) Statement. You do not need to know anything about the STROBE Statement to participate, but you should currently work on or within the past 10 years have worked on manuscripts reporting the results of observational studies (e.g., cohort, case-control, cross-sectional). Watch Shirin Heidari, founding chair of EASE Gender Policy Committee, present a TEDx talk discussing how scientific research has turned a blind eye on gender blind research. Shirin provides some fascinating examples about the harmful implications of this gender bias, shares some insights into medical research, and offers a path to change the paradigm towards unbiased research that can apply to all genders. Details of the work and impact of our Gender Policy Committee, including the SAGER Guidelines, can be found on their dedicated pages on the EASE site here. Poster abstract submission is now officially closed and the first abstracts have been posted to our website conference pages. We have had a good response with 12 posters accepted, and authors coming from five countries in three continents: Chile, Germany, Korea, Spain, and Turkey to present sessions on assessment of scientific indicators, national author representation, nursing ethics, narrative reviews, and ethical guidelines. We will still have room at the conference for more, so late applications could still be considered: interested authors should contact the Conference Secretary as soon as possible (conference@ease.org.uk). All those who have submitted an abstract should have heard from the Programme Committee by now: please contact the Conference Secretary if you have not. Register now for the largest interdisciplinary forum on science and innovation in Europe! The EuroScience Open Forum brings together every two years the key players of research and innovation in a city that becomes “European City of Science”. The 8th edition of the forum will be held from 9th to 14th July in Toulouse, France, European City of Science 2018. Benefit from ESOF’s early bird prices until April 14, 2018. €50 euros for PhD students and €150 for everyone under 35 years old. The organisers are also looking for volunteers to help with both the forum ESOF from 9th to 14th July and the “Science in the City” festival from 7th to 15th July.